The State of Palestine comprises the West Bank and the Gaza Strip. 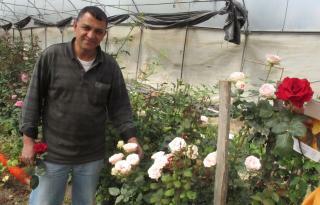 Over the past three to four years, Palestinian MFIs have gradually improved their sustainability. Hello Abed, can you start by introducing yourself and tell us about your background? How long have you been working for ACAD? My name is Abed AlRahem Melhem, I’m 25 years old, I’m working as a loan officer in Jenin branch. After studying accounting in the university of Nabrus, I joined ACAD in July 2011. "I am Iman from Palestine, I started a bees hive back in 2007, and took four loans with ACAD to expand it and provide the required gears. I am taking this loan to buy more bees box/cells and wax, as my current equipment became old. 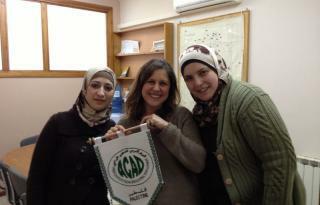 ACAD (Arab Center for Agricultural Development) is a Microfinance Institution (MFI) established to encourage entrepreneurship through micro-income generating activities in Palestine. 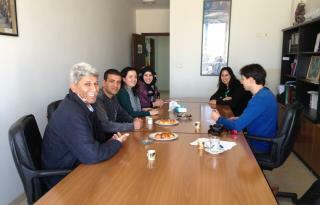 ACAD has 8 regional offices in the West Bank and Gaza and has its headquarters in Ramallah. Each loan officer is in charge of 155 borrowers (to compare with average of 200 borrowers per loan officer for all MFI in Palestine)and there are 41 employees which more than 50% are loan officers. 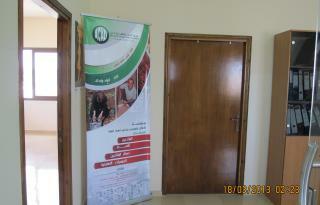 All microfinance institutions in Palestine, work under an organization named Sharakeh. It was formed in 2002 and functions as a voluntary coordinating body that speaks for non-profitable and non-governmental microfinance institutions in this country. Their aim is to provide financial services and loans to small businesses. Through this network, demand for micro credit has known a rise in the past years. Although China has embraced capitalism without giving up the single-party system, the idea persists, especially within the American government, that the market economy and doing business can help strengthen democracy. The US federal agency OPIC (Overseas Private Investment Corporation) walks the talk by announcing a loan guarantee programme and loan financing to small businesses in Jordan and Egypt. Both countries’ local banks will share $ 500 million in loan guarantees. 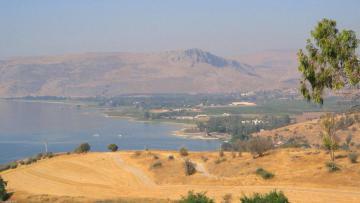 The State of Palestine comprises the West Bank and the Gaza Strip. Since 1917, the territory has been affected by conflicts; its borders and economy are now controlled almost entirely by Israeli administration. The politician and security situation of Palestine Territories asphyxiates the economy which remains dependent on a foreign aid lifeline. 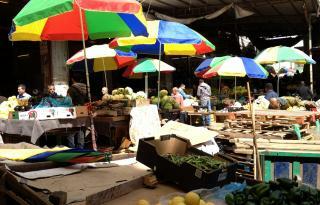 The Palestinian Authority is making significant efforts to develop the country and reduce poverty. By 2013, the National Development defines two challenges: reduction of the poverty national rate from the current 22% to 13% and of the food insecure rate from 33% to 27%. The achievement of the Millenium Development Goals is not guaranteed for all indicators, but progress has been made on several of them. 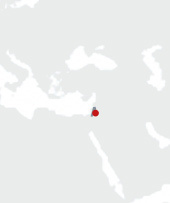 In 1922, after the collapse of the Ottoman Empire that ruled Greater Syria for four centuries (1517-1917), the British Mandate for Palestine was established. In 1947, the United Nations Partition Plan proposed a division of Mandate Palestine between an Arab and a Jewish state, with Jerusalem and under a special international regime. This Partition Plan was accepted by the Jewish leadership but refused by Arab leaders. The day before the end of British Mandate, Israel declared its independence within the borders of set out in the Partition Plan. Since it, there has been constant unrest, including major wars in 1948 (Arab-Israeli War) 1967 (6 days war) and 1970 (black September). The Palestinian retaliation has been in two civil disobedience movements, called the First Intifadah (1987-93) and the Al Aqsa Intifadah (2000- 2004), marked by stone throwing, suicide bombings and rocket attacks, eliciting renewed aggression from the Israeli Defence Forces. 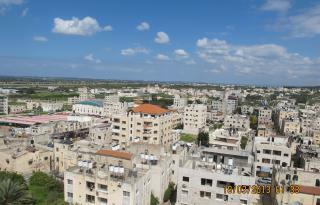 The most recent incident was Israeli airstrikes on Gaza, in January 2009. Over 5 million Palestinians have emigrated since 1917, while Israel continues to build settlements around Jerusalem, encroaching on Arab land. 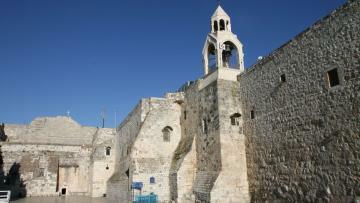 In 2011, Palestine was granted member in the UNESCO. In 2012, it was upgrade by UN General Assembly from an observer entity to a non member observer state within the United Nations system, and implicitly recognizing PLO’s sovereignty. The Palestinian nation has about 10 million people and has a large Diaspora. Only 3.7 million live in the "Palestinian territories". 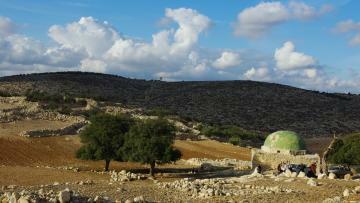 The Palestinian population is largely Sunni Muslim with a small Christian minority community and Samaritans. Arabic is the official language but Hebrew and English are widely spoken. Palestinian culture is closely related to those of the nearby Levantine countries such as Lebanon, Syria, and Jordan, and the Arab World. Cultural contributions to the fields of arts, literature, music, costume and cuisine express the distinctiveness of the Palestinian experience, and flourish despite the geographical separation between Palestinian territories, Israel and the Diaspora. With only 19,6 % of the potential microfinance market covered and almost 50% of Palestinians in the West Bank and Gaza living below the poverty line, the demand for microfinance services remains strong. Large parts of the Palestinian economy suffers from Israel’s strict policies regarding both men and goods transportation. With regards to the subsequent high unemployment rate, many Palestinians have turned to self-employment activities, thus boosting demand for microfinance services. According to estimates, between 150,000 and 190,000 households need a microcredit, and additional 96,000 need SME credit and a further 200,000 need small-balance savings accounts and money transfer services. There are 10 providers of microfinance services: one bank (Al Rafah Bank) and 9 MFIs with various legal structures. 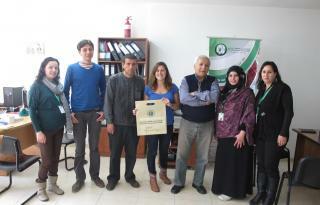 Over the past three to four years, Palestinian MFIs have gradually improved their sustainability. The Arab Center for Agricultural Development (ACAD) is a Microfinance Institution (IMF) based in Palestine providing financial services concentrating on rural and/ or high poverty rate Palestinian areas. 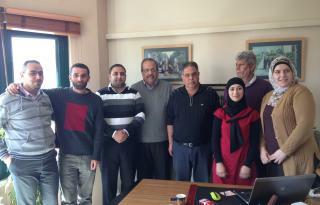 ACAD has currently 8 regional offices in West Bank and Gaza; the headquarter is located in Ramallah city. It currently serves 3282 clients. To provide sustainable efficient financial services to women and poor families, mainly in rural areas, in order to contribute to poverty alleviation and economic development of Palestine. 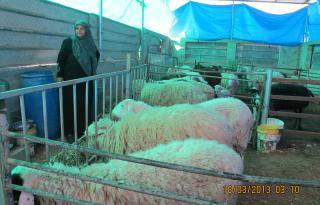 The Arab Centre for Agriculture Development (ACAD) started activities in 1988 as a for-profit company called UAC (United Agricultural Company). It was dedicated to providing loans to the agricultural communities of the Jordan Valley and was launched in four rural agricultural areas. From 1993 to 1995, UAC assets were transferred to ACAD, a newly created Palestinian NGO that was registered in Jerusalem in 1993 and registered with the Palestinian National Authority (PNA) in 2001. Based in Ramallah, ACAD expanded to cover the entire West Bank and Gaza Strip and has managed to evolve from a purely agricultural institution to a Microfinance Institution (MFI). 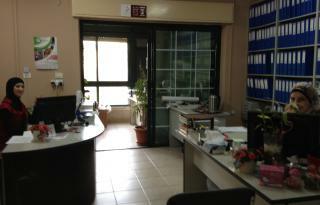 ACAD has 9 offices - in Gaza, Bethlehem, Jenin, Al-Bureh, Tulkarem, Jericho, Ramallah, Hebron and Tubas – and 47 employees. So far, ACAD has served 11,483 persons, more than 66 cooperatives, with more than $ 25 252 465, 77 lent. ACAD’s differentiation is its strong relationship with the client, which is determined by customer focus, respect for client culture and valued staff relationships. About 70% of the company’s clients are women. The company has set guidelines that limit its consumer lending to only 10% of its portfolio, which is another source of differentiation in Palestine. By 2015, ACAD plans to expand its portfolio to reach more than 8,000 active clients with a outstanding loan portfolio of approximately 8 million us dollars.